*NOTE: You have options to share or print at the end of this article. When it’s hot outside and you are planning an RV trip to your favorite KOA the last thing you want is a problem with your RV air conditioner. The good news is it’s not that difficult to test your air conditioners cooling performance prior to leaving on your trip. Let’s look at how you do it. For the best results the ambient temperature, or the temperature around the AC unit, should be above 75 degrees. Prior to testing the AC cooling performance there are a couple things we want to check. Note: Turn any power going to the RV off, so the AC unit doesn’t come on during these checks. First, inspect the AC filters to see if they are dirty or damaged. Clean or replace the filters as required. Next we want to inspect the fins on the condenser coils on the AC unit to see if they are clean and look for any obvious damage. This requires a trip up on the roof. Exercise caution whenever you work on the RV roof. A fall can result in serious injury or death. Carefully remove the AC cover. The AC condenser will be facing the rear of the RV. Dirty, clogged or bent fins on the condenser coil will result in restricted air flow and poor AC performance. You can use a soft bristle brush to clean the fins on the outside surface of the coils. I use a plastic body shop squeegee to straighten any bent or damaged fins on the coils. The evaporator coil (towards the front of the AC unit) is enclosed and should be inspected and cleaned by an authorized RV repair facility. Note: If you keep your AC filters clean the evaporator coil fins will stay clean. Now we can test the AC unit’s cooling performance. 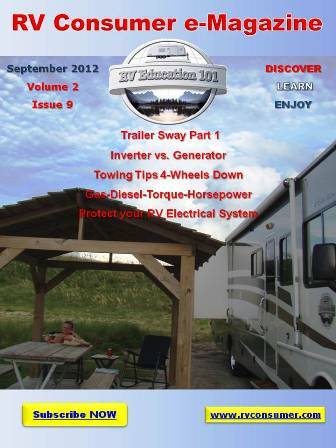 Turn the power going to the RV on, and make sure you are getting the proper 120 volt power supply to the RV. It’s important to understand if an air conditioner is operating properly there should be a 16 to 22 degree temperature difference between the ambient temperature and the conditioned air temperature. All we need for this test is an analog or digital AC thermometer. You can purchase one at a local auto parts store. Set the AC unit on high cool and allow the unit to run for a minimum of 15 minutes. Make sure all of the AC ducts are open. To test the unit position the AC thermometer at the AC return and measure the air temperature entering the AC unit. Write the reading down. Next position the thermometer at the closest duct to the AC unit and measure the temperature of the conditioned air. Subtract the two figures to see if it falls between the 16 to 22 degree difference in temperature. If it does your AC unit is working at maximum efficiency. 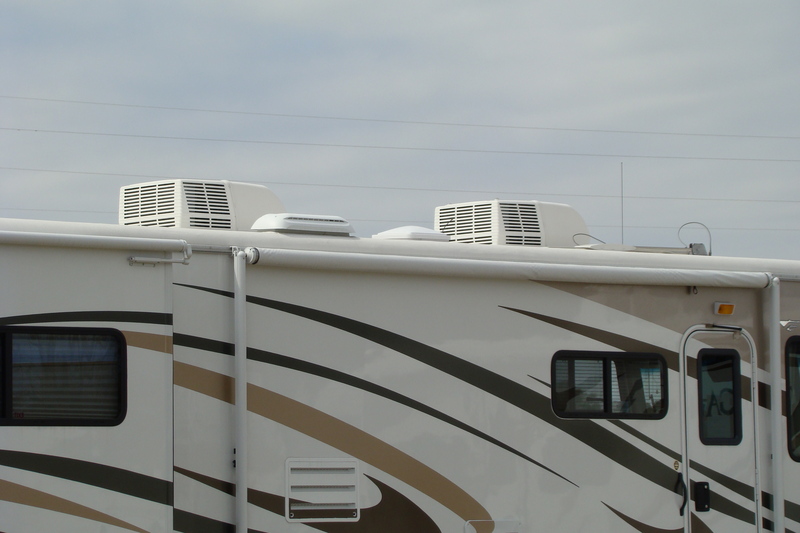 There are several other variables involved with this testing procedure, but what we covered here will give you a good idea if the AC unit in your RV is operating properly or if you need to have it looked at by a qualified RV service facility before heading to your favorite KOA. Have a great camping season and remember when you want to learn more about your RV take a minute to visit RV Education 101.